Our Rottweiler kennel follows the FCI ROTTWEILER BREED STANDARD used by the ADRK in Germany. The Rottweiler needs to have a stable temperament, breed type, strong working prey and ball drive, strong head peaces, large bone, excellent angulation, and superb nerves of steel. Our focus is to preserve the complete Rottweiler. We breed only top quality German Rottweilers with working bloodlines. We do not have any American bloodline Rottweiler dogs. Each dog is tested for strength, weakness, conformation, angulation, and temperament. This helps us make good breeding decisions. We are then able to ensure that the Rottweiler puppies from our Rottweiler kennel will be true to their working ability. Our breeding program focuses on quality NOT quantity. We only have a few SELECT breedings a year. We put a lot of time and effort into planning our Rottweiler breedings, often spending months researching dogs and bloodlines. The Rottweiler dogs we own have similar pedigrees. The pedigrees that we match are critical in producing Rottweiler puppies. The sire and dam must have the same bloodline to achieve a large boned, large, head, and stable Rottweiler. The Germans started over 100 years ago a breeding program that involved "linebreeding". Linebreeding is how you match your dogs pedigree. Scroll down to view an example of a matched German ROTTWEILER BLOODLINES. The colors represent the same dog or the same pedigree on each side of the parents. Check out what dogs we use in our bloodlines. BH, ZtP, AD, IPO III, SchH III, Gek. b. 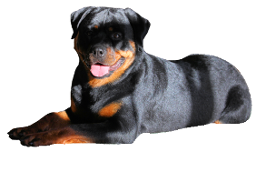 The Rottweiler standard is the first piece of resource you have to read when decideing a Rottweiler for your breeding program. 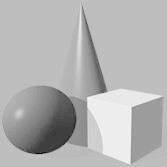 It is important to stay within the ADRK guidelines. It is important for the Rottweiler dog not to get too tall, short, or fat. We have a Rottweiler growth chart as a guideline. Please view or growth chart. Code of ethics Rottweiler breeders try to focus on the bloodlines and match them properly, and to to breed to the "flavor of the month" dog.